Thank you for downloading our e-book. 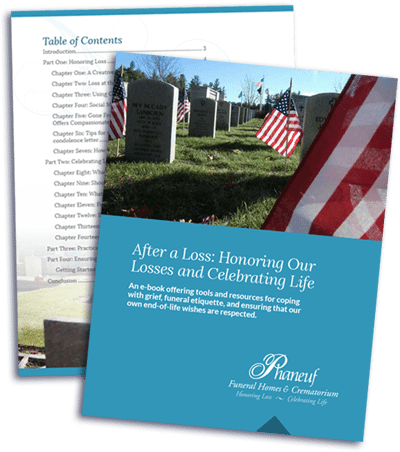 Click here to access After a Loss: Honoring Our Losses and Celebrating Life, an e-book from Phaneuf Funeral Homes & Crematorium. Visit the following links to learn more about managing the grief process.